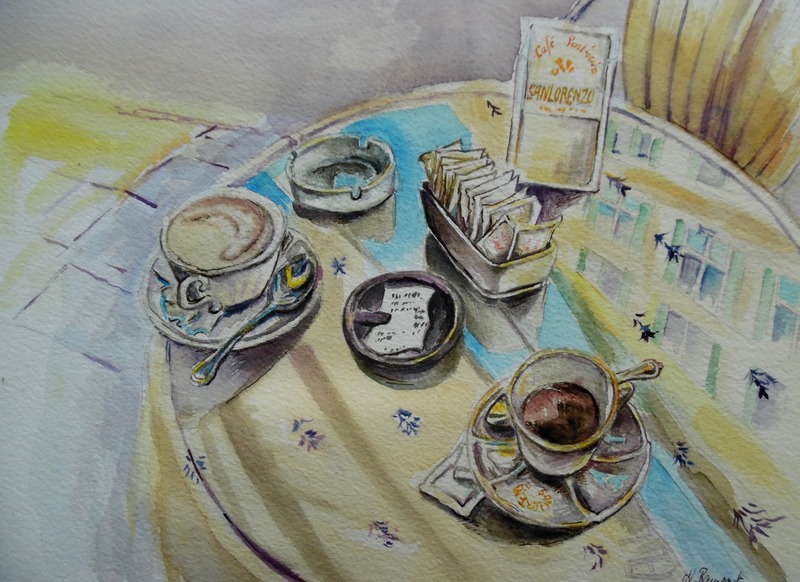 Dieser Beitrag wurde unter aquarell, art, Arte, Laigueglia, Liguria, Pittura, watercolour abgelegt und mit acquerello, Alassio, Aquarell, Arte, Cafe-San-Lorenzo, Kunst, Nadia Baumgart, watercolor verschlagwortet. Setze ein Lesezeichen auf den Permalink. Nadia, I love the detail on the painting!! The cups – one full, one half with the tea bag beside it; the spoons and how they are laid, the little design on the tablecloth, the container of sweetners with them this way and that just like they are seen! Great!